Arsenal manager Unai Emery has reportedly given his approval for the club to bid for the transfer of Belgian winger Yannick Carrasco in the next few days. The Gunners look to be up against Manchester United for Carrasco’s signature, but seem set to move ahead of their rivals by stepping up their interest, according to Foot Mercato. 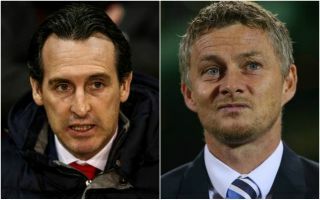 Both clubs could do with more options out wide at the moment, with Arsenal having to rely on inconsistent performers like Alex Iwobi and Henrikh Mkhitaryan in attacking midfield. United, meanwhile, have used forwards like Alexis Sanchez, Anthony Martial and Marcus Rashford as makeshift wingers for some time, and Carrasco would be a more proven option in that part of the pitch. Carrasco shone at previous club Atletico Madrid before making a somewhat surprise move to China with Dalian Yifang, where he is still based. Still, it could now be that the Belgium international is close to making a return to European football, and it would no doubt be exciting to see the 25-year-old in the Premier League.